One of the many benefits of using Truss to find space for your small business is the ability to use virtual reality to tour spaces without having to make a physical visit. Truss helps you lease space 60% faster, and virtual tours make finding the right space extra convenient. We partnered with Matterport to offer interactive 3D and virtual reality tours, which means you can experience different spaces from the convenience of your own device. The 360 degree virtual tours can be taken any time and allow you to get a feel for your options. Our tours let you visit office, coworking, retail and industrial spaces. Once you start the tour, you can move throughout the space, including into different rooms. Plus you can even see the "dollhouse" perspective, which means you can see the full layout and what the entire space looks like. Click here to search, tour and lease with us. Your Industrial Lease Is Expiring. Now What? When it comes time to decide whether or not to renew a lease for industrial space, it’s important to weigh all of your options to determine what’s best for your small business. As a small business owner, we understand how finding an office space for your business can fall to the bottom of your priority list. You’re managing a business and trying to grow it - finding the right space could take time away from that. 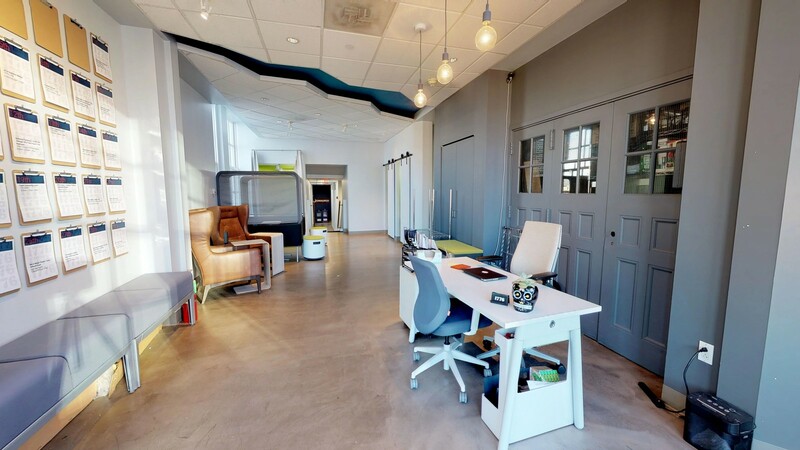 Check out our virtual tours and find your next workspace today!